Who? 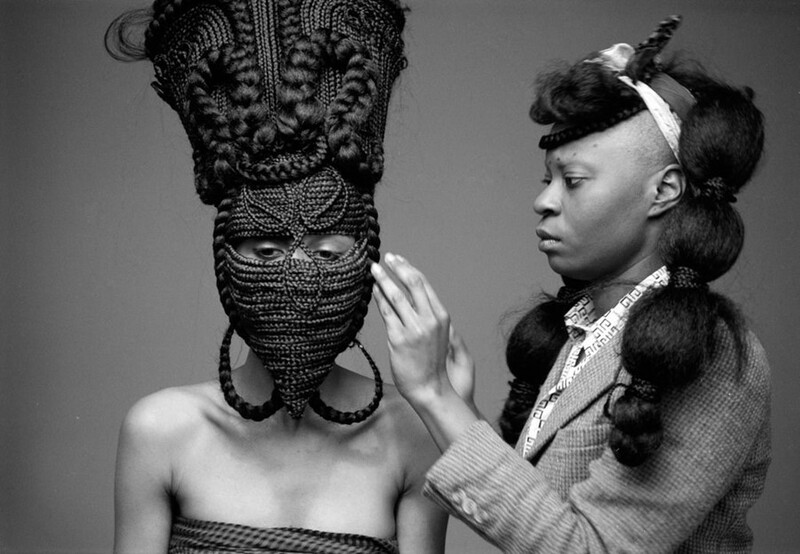 Joanne Petit-Frère takes sculpture into new realms with her incredibly complex hair designs, which call upon influences as diverse as maths, nature, engineering, chemistry, garment construction, Old World architecture and Africa and the Americas. Her work was recently at the centre of a media controversy after the architectural braided crown she created for Solange was airbrushed out of the Evening Standard magazine’s cover story. The publication apologised after the singer posted the image on social media and referenced her own song, Don’t Touch My Hair. Petit-Frère has always worked with hair as a creative form, but is quick to note that her “background is in fashion foremostly, art secondly”. While attending the Fashion Institute of Technology in New York she joined a collective with friends from Cooper Union, which allowed her to develop more experimental art-led processes. Her investigations into hair sculpture were born out of the desire to “editorialise” the large, ornate jewellery she was creating, but it soon became the main focus of her practice. At present, she is artist in residence at Ancestral Strands, a braid boutique in Brooklyn, and is working as a producer at the ‘arts incubator’ Brooklyn Temple of Epistemology.